It is November 4 and Papercraft Paradise is now 4 years old. Yay, thanks for all the support guys. 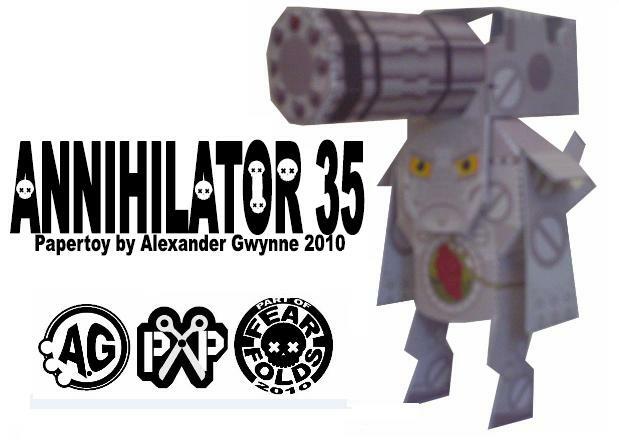 Meanwhile, here's another exclusive papertoy from Alexander Gwynne named Annihilator 35. Happy 4th birthday, Papercraft Paradise. Congratulations Michael on starting and maintaining such a super blog.